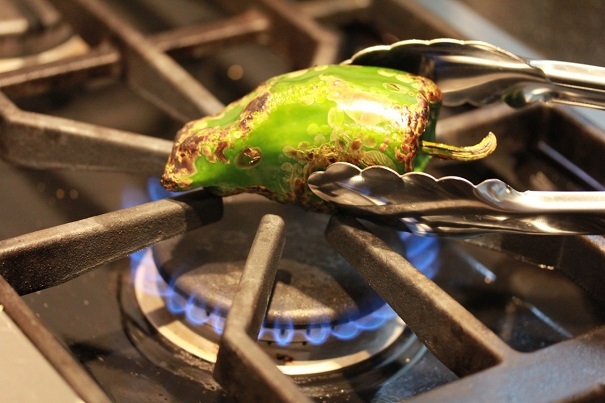 Heat the poblano chili over a gas flame until charred, about five minutes, or broil for five minutes under the broiler. Put chile in paper bag, close it and allow it to steam for 20 minutes. 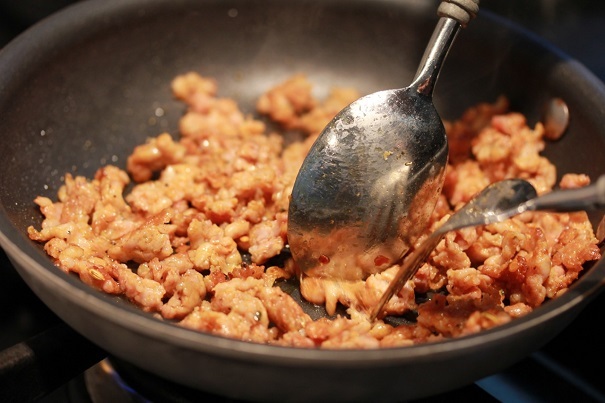 Break up the chorizo and cook in a skillet for about five minutes, until done. Set aside. 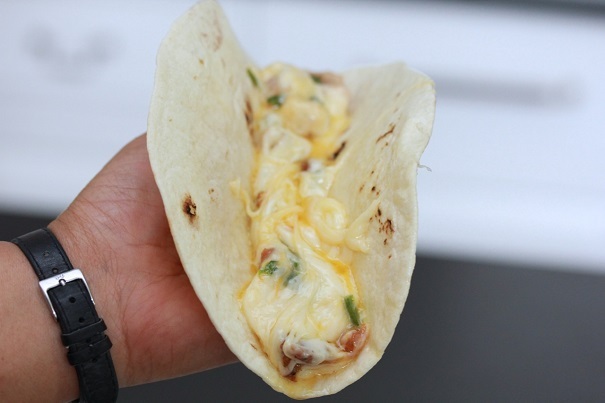 Grease a medium-sized casserole, skillet or ovenproof dish and add the cheeses. Top the cheeses with the chili strips and the crumbled chorizo, and bake at 350 degrees in the oven, until cheese is melted and bubbling, about 15 minutes. 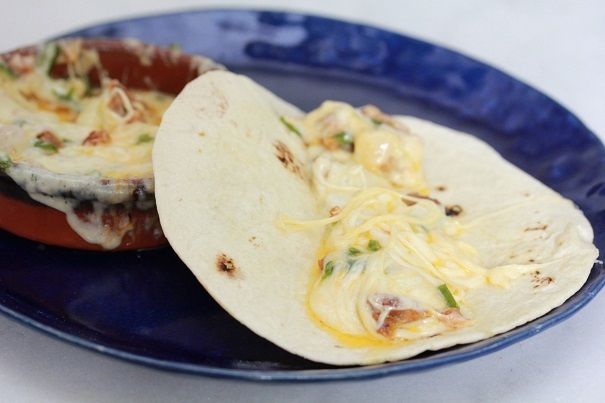 Serve with warm flour tortillas, spooning the melted queso into the tortillas and rolling up to eat with your hands.